Nestled in one of DC’s most favored and notable neighborhoods, you’ll find The Graham Georgetown. 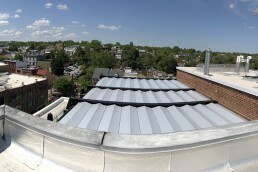 Guests continue to return to this charming boutique hotel for a particularly great view. 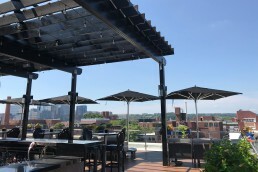 Perched atop the luxury hotel is The Graham Rooftop, an impressive lounge venue with nearly 360-degree views. 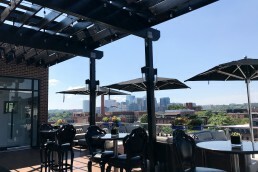 Patrons can take in the grand scenery of the Potomac River, historic Georgetown and the skyline of Rosslyn, Virginia. Weather permitting, this seasonal rooftop lounge fills up quickly with reservations and lines out the door. Owner Dwight Curry sought for the appropriate solution to maximize the business whether rain or shine. 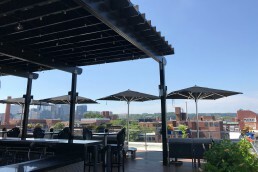 Their wooden pergola was, in fact, a great start to this project. 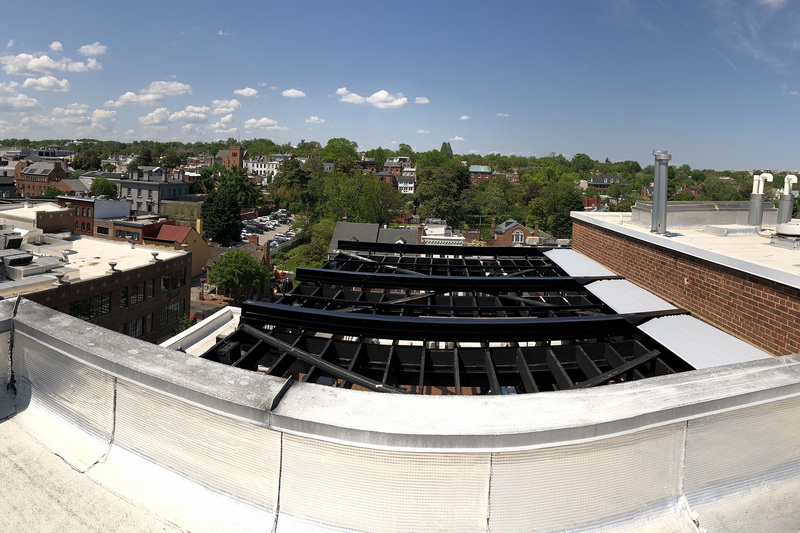 Without delay, ShadeFX specified the coverage they desired. 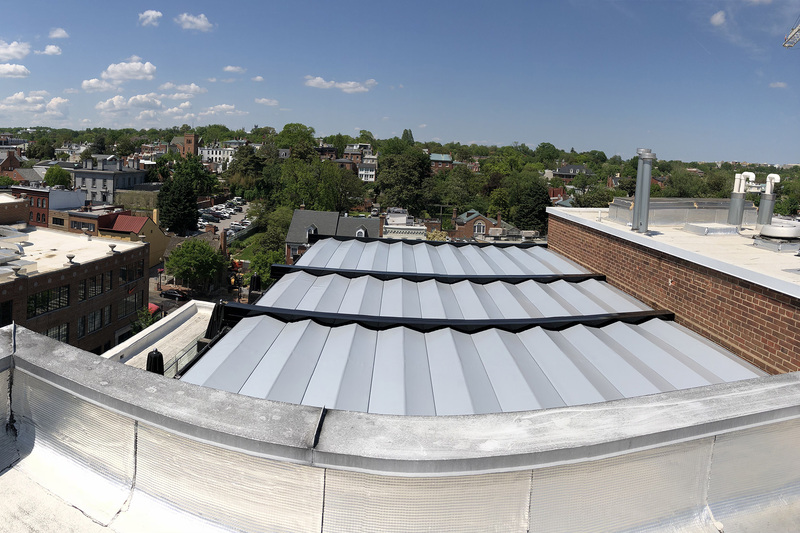 The ShadeFX Service team visited the heart of Georgetown and provided a site assessment. 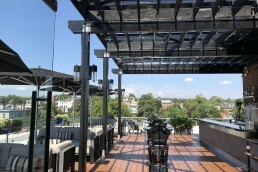 The existing black structure was capable of accommodating three retractable roofs resulting in 760 sq. ft. of coverage. This solution allows the staff to retract the canopies and leave them out in the winter time, reducing the need for storage. 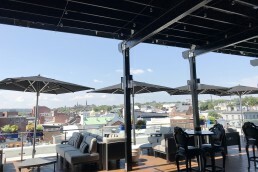 Furthermore, Dwight Curry chose to complement their existing rooftop furniture and elected a steel coloured Dickson Arcade FR fabric. The plush cushions and stylish furniture attract different crowds throughout the week. 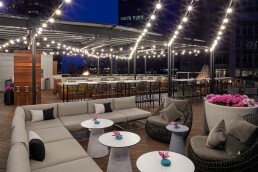 Sipping on top-tier labels and creative cocktails, The Graham Rooftop is the perfect location for a social gathering. 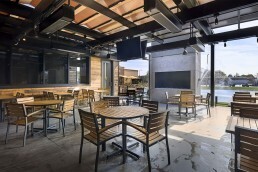 To emphasize, they offer a fine tobacco collection, fresh seafood and raw bar, and beautifully decorated small plates. 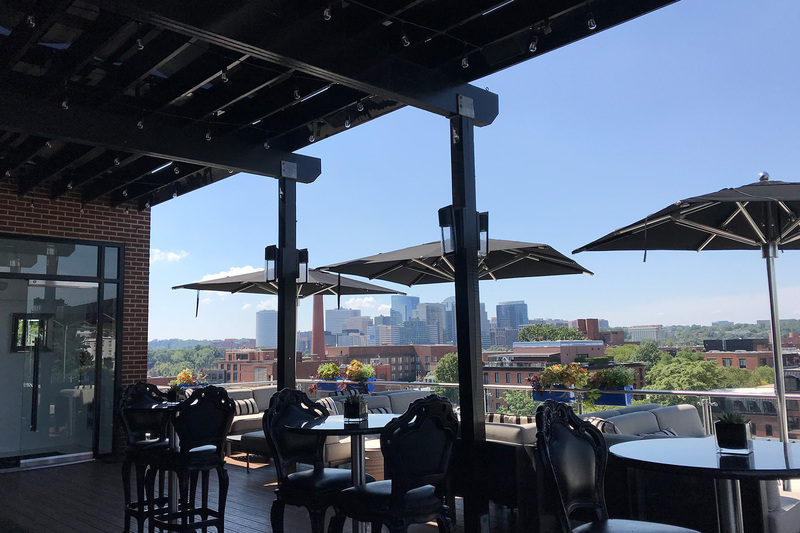 This after-work hangout or weekend social spot takes panoramic city views to the next level. Want to maximize your views? Get started today. 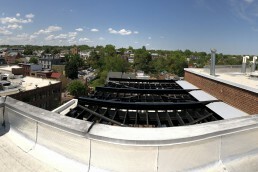 The Graham Rooftop’s existing black structure was capable of accommodating three retractable roofs resulting in 760 sq. ft. of coverage. 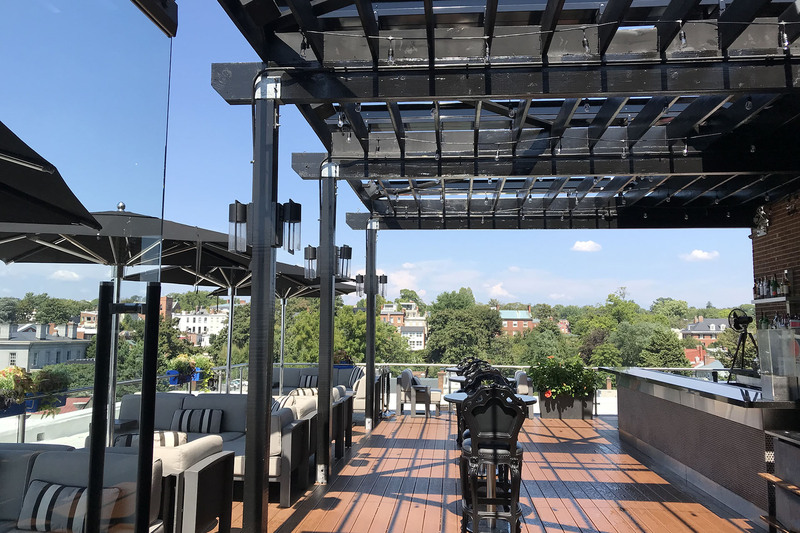 This solution allows the motorized canopies to be retracted and left out in the winter time, reducing the need for storage. 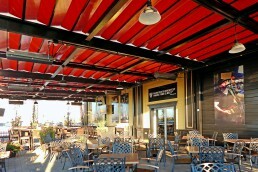 A steel coloured Dickson Arcade FR fabric was chosen to complement the existing rooftop furniture.